Having a new front door fitted is a much more complicated process than it used to be. There’s a variety of different styles and options on the market to suit people’s different budgets and tastes. But what are the best options out there? Double Glazing on the Web aims to be a comprehensive online hub for home improvements up and down the country. That includes the installation of doors. In the following article, we’ll aim to break down the complicated process of having a new front door fitted. Why Do I Want to Have a New Front Door Fitted? Having a new front door fitted can be a costly process, but it’s always going to be a smart investment. The range of security features available in today’s market continues to grow. Even the most basic door models that our approved installers offer are incredibly robust. However, the increasingly popular composite doors offer an unrivalled level of safety across the board. Wherever you live, you want total peace of mind in your home. Having a sturdy new front door fitted can go some way to helping with that, whether it’s a composite model or something else. In addition, older, dated front doors may be severely affecting the thermal efficiency of your home. Double Glazing on the Web’s list of approved installers will all offer new front doors which can change that. Having a new front door fitted may seem pricey, but with improved heat retention, you may be able to have the heating on much lower than before. This, in turn, could see you saving money on your monthly energy bills. As a result, having a new front fitted makes for more a smart investment in the long run. What Affects the Price of Having a New Front Door Fitted? It’s hard to pin down an exact fee for having a new front door fitted, as there’s such a wide array of different customisation options. The most significant effect on the price of having a new front door fitted is what material you want it to be made from. 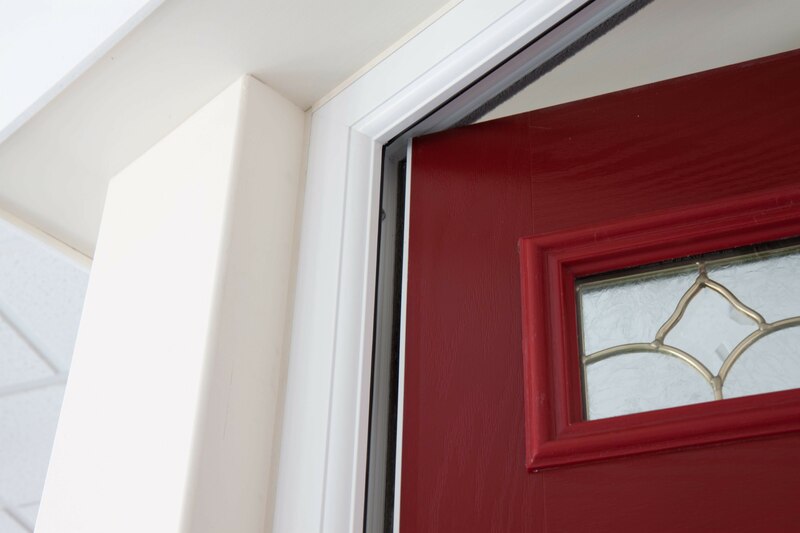 A standard uPVC model could cost around half of what a composite door would cost, depending on the style. Alternatively, many of our approved suppliers will offer doors in sublime timber finishes. While this can help maintain the feel of a period home, they also come at a premium. However, different installers may offer different door materials in addition to these three. The actual configuration of your new front door can have an effect on the eventual price as well. You can have it made entirely from your material of choice, but you can also include various glass panels as is traditional with front doors. 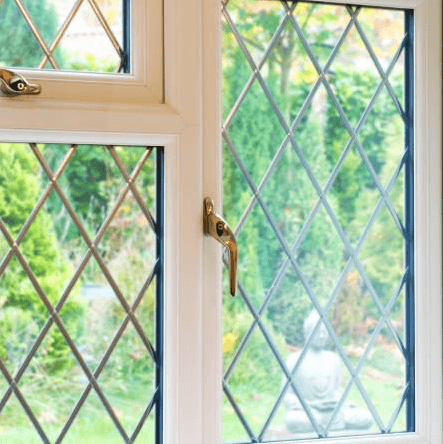 Most suppliers would recommend you have double glazing installed with these glassed areas and some may also offer triple glazing. Both come at a premium though. However, they’ll provide significantly better energy efficiency. Also, when you have a new front door fitted, you may want to decorate the door itself with a range of accessories that won’t come as standard. These can vary from knockers to Georgian bars and different letterboxes. Finally, and often forgotten about, is the cost of the paint. One of the installer’s more popular, basic colours will almost always cost less than a rarer, more unique shade. What is the Difference Between Having a New Door Front Fitted vs Supply Only? Having a new front door fitted costs drastically more than supply only. The latter means that you are merely purchasing the product itself, as opposed to having it installed by the company. When you have a new front door fitted, you’ll be paying the company for the labour of installing the door itself. Generally, the rough fitting cost would be in the ballpark of £150, but this can significantly vary business to business. As a result, it’s always wise to shop around and compare, and some places may offer the product much cheaper, but catch you out with a steeper installation cost. However, the cost of having a new front fitted isn’t just because you’re paying the actual installer. Insulations and sealant all cost extra but are essential. They tend to cost in the region of around £50 all in. However, this can always fluctuate. Getting your door on supply only as opposed to getting it fitted is always a riskier option. You shouldn’t attempt installation without experience as the door will need to be certified for compliance. This ensures that it reaches the security standards set out by boards like FENSA. Having your new front door fitted by a registered installer is always a smarter move. You can find an accredited door fitter right here on Double Glazing on the Web. Should I Choose A Composite Door? Whether you should choose a composite frame or not when having a new front door fitted depends almost entirely on your budget. 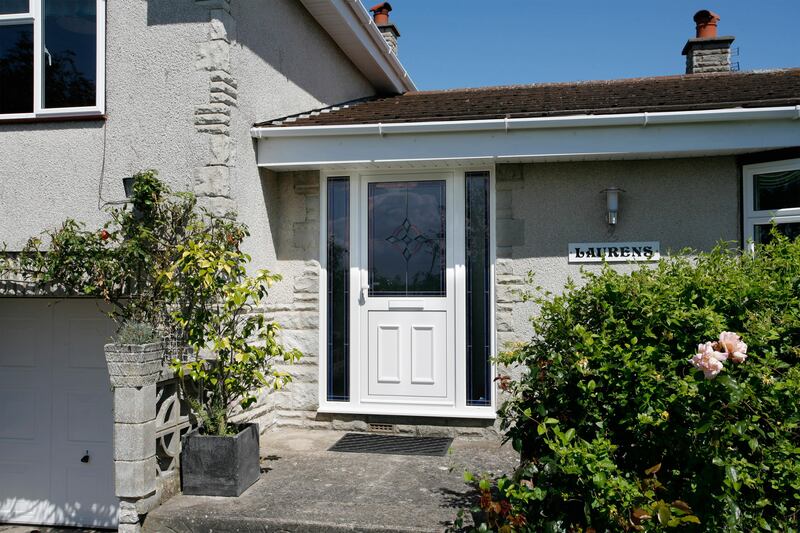 uPVC doors still do a brilliant job of providing homeowners with a stunning product. That shouldn’t be forgotten. In addition to aesthetics, even the cheapest front doors will still offer improved thermal efficiency. What’s more, they’ll almost certainly be sturdier than any older frame. However, there’s no denying that the composite door is the market-leading product. Unlike other products available, the centre of the door is the most robust part. Commonly, the middle of a door is where it’s at it’s weakest. 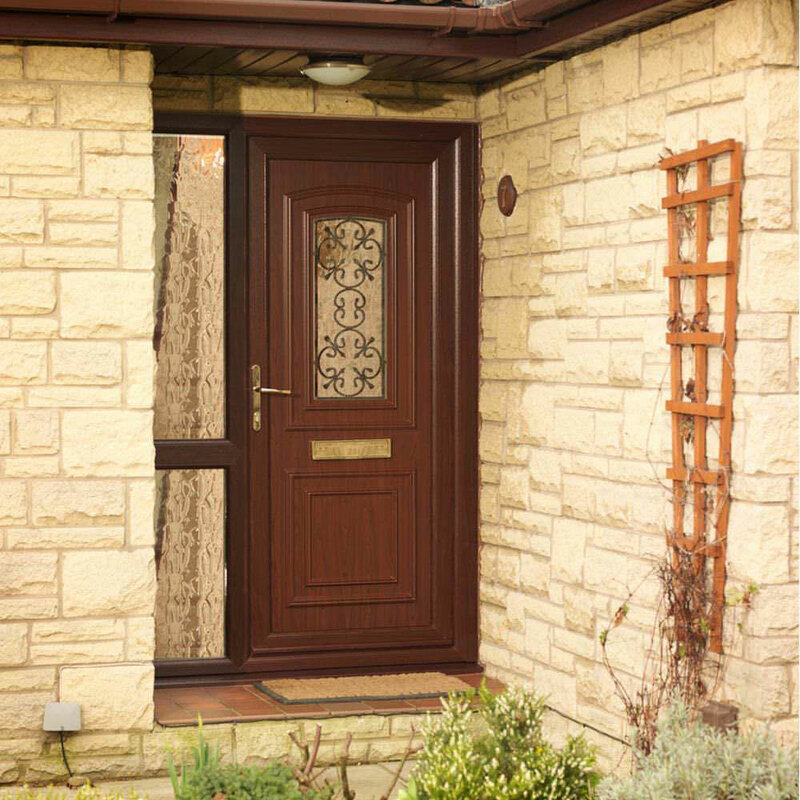 However, composite doors include a solid timber core. This is far stronger than uPVC. But they’re actually made of an array of different materials. These different materials all counteract each other’s weaknesses; as a result, the door is nearly impenetrable. This reassuring of level of safety shouldn’t really have a price. Promising that you’re secure in the horrible instance that someone does try and break in is worth the extra outlay. Assuming you have that amount of money at your disposal, you should definitely go for a composite door. If not, don’t think that you’re getting a poor product. The modern uPVC door is still an efficient model which will do the job. What is the Cost of Having a New Front Door Fitted? If you’ve tried to look for one single price of having a new front door fitted in 2018, you’ve probably struggled. That’s because each door will vary house to house, from simple things like size to the paint itself. The cost of having a new front door fitted for a uPVC model is generally around the £800+ mark. This can vary depending on where you live and whether you use a local or national installer as well. If you want the composite doors mentioned above, you’ll be looking north of £1,500 fully fitted, and that’s without premium customisation options. Finally, doors from made timber will cost even more than that. Where Can I Get Prices for Having my New Front Door Fitted? If you want to look at your options for having your new front door fitted and to get a price today, you can use our online quoting engine. 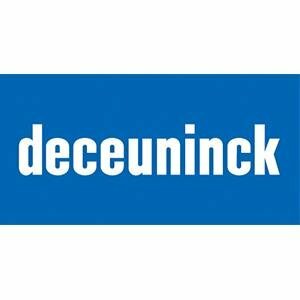 This interactive price generator will let you explore the range of basic configuration options available. Once you’ve chosen, enter your postcode to make doubly sure that our approved installers work in your area. Get started today!